On his Myspace page, Lincoln, Nebraska’s own Darren Keen, the one-man performance entity known as The Show Is The Rainbow, says his music sounds like “generally impatient music.” As incessant electro-beat propulsion slings together Keen’s various blips, bleeps, bass throbs and rock riffs like a temporary bandage on his second full-length, Wet Fist, “impatient music” almost sounds like he doesn’t have time to let it organically fuse together, or heal. Jagged and fractured seems the way to go, as Wet Fist combines the idiosyncratic musings of Mr. Keen with the imperfect sounds of a computer. Keep it flawed; keep it real; keep it weird; keep it kind of Zappa, I guess. Interestingly though, The Show Is The Rainbow doesn’t necessarily reflect Zappa because he strives for recorded oddity. Wet Fist seems to expound on an electric era of Zappa, a time when Frank was able to rely less on other musicians, embracing expanding technology and the promise of the infinite, self-imposed musical explorations that he would have at his disposal. Think Jazz From Hell. Think Frank Zappa Meets The Mothers Of Prevention. The comparisons aren’t completely due to the nature of Keen’s music but because they’re theoretical windows into what Zappa might’ve accomplished had he lived to see the now pivotal role that the laptop plays in the development of certain bands and performers. The office’s IT department seems the new CBGBs. 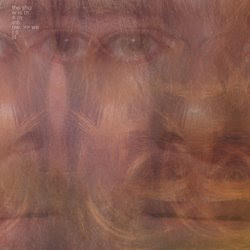 This is probably not what Keen had in mind, but as a solo artist that bases his craft on the computer and also immerses himself into a similarly conceived Zappa-based avant construct, it was an idea worth entertaining. Having said all of that, Keen has an interesting sensibility despite his apparent influences. The programmed aspects of his sound sort of accentuate the instances when he deviates from the keyboard, guitar playing and bass funk thickening the mix, violins and brass elevating intensity. This also leads to a high level of ambition which, at times, makes Wet Fist unevenly eclectic. The homeless romance of “Made Of Cardboard” seems conventionally electronic enough until it hits a midway bass loop with off-time rhythm, giving the track some unexpected musical depth. This also happens with “Roar Means Run,” a song apparently based upon Hitler’s drug addiction, (“Nothing makes sense to anyone but me/I’m chewing the curtains and pounding my fists/Soon I’m cursing children and captains and women and my friends, the soldiers seem distant/No one wants to follow a captain who can’t win…”), where its conventional computerization is enhanced by instrumentation. “Who He Says He Is,” a bluesy marched piece of melancholia, has Keen desperately shrieking, a deviation from his consistent melodic Beck-ish delivery. Following is “Wordless Whisper,” one of the album’s non-interlude instrumentals, which is like symphonic Tron. One of the standouts, electro-funk dance track “Mother And Son,” is unsettling in its aggression, firm in its observation (“And I get this rage from my father”) and then desperately agonizing in its refusal (“I don’t want to be/That kind of guy!”). The flow interrupted by a percussive instrumental (“Run Fast at the End”), the danceable funk of “Mother And Son” is continued by the more relaxed “Come Dry Your Meat Flower,” its strange title becoming an almost celebratory chant at the song’s end. “Come Dry Your Meat Flower” begins with what sounds like club-worthy live instrumentation, which blends into its slicker studio self just as the bass line kicks in. This effect foreshadows the album’s best and most out-of-place song, “They Won’t.” The one song NOT digitized and machined, “They Won’t” sounds like a basement recording, at one point interrupted long enough to hear the sounds of a distance dance club reverberating against imaginary walls and a subtle wash of violins. It’s probably the album’s most unique moment and its highest point. Though calculated to some extent, The Show Is The Rainbow works to make the most of his medium. Wet Fist doesn’t blow minds, but it’s jagged, fractured and generally impatient. At least Keen is honest.